For many, the Christmas countdown has already begun and especially as excitement is building for the return of Winter Wonderland Manchester following the success of its initial run last Christmas. The UK’s largest indoor Christmas theme park returns from Sat 13 December 2014 until Sun 4 January 2015 at EventCity next to the Intu Trafford Centre in Manchester, and tickets are already selling fast. Make the whole family’s Christmas dreams come true with a magical festive adventure that will still be talked about the following Christmas. Winter Wonderland is jam packed with over 40 family rides and attractions all under one roof including many children and family rides all included in the entry price. In between the thrill of the rides, there will be lots of other activities to enjoy. 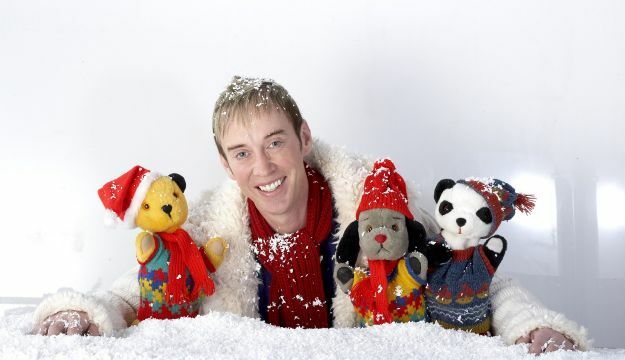 Such as ‘Izzy, wizzy, let’s get busy’ with the longest running children’s television show, The Sooty Show – Sooty, Sweep and Soo are back at Winter Wonderland! Along with TV’s Richard Cadell, you can expect magic, mischief and mayhem every day during their live shows! Thespectacular Christmas Circus is also back this year with seating for over 700 and performances throughout the sessions, also new for this year you will see a whole host of meet and greet performers roaming Winter Wonderland including stilt walkers, Christmas fairies and fairy-tale characters. If all that wasn’t enough, there will also be an extra special visitor – Santa Claus will be taking time out of his busy schedule for ‘Meets and Greets’ with all children and will be at Winter Wonderland up to and including the 24 December. There will also be a whole host of games stalls and a vast array of food and drinks stalls which include hot snacks and sweet treats including candy floss, popcorn and snow cones, all available for purchase. Winter Wonderland is operated on a session basis to ensure visitors can enjoy the experience without overcrowding. Tickets to this event are limited and we strongly advise that tickets are booked early to avoid disappointment. Do not miss the Christmas event of the year Winter Wonderland at EventCity from 13 December 2014 – 4 January 2015.